Rarely has there been a song that has had so much power that it has crossed over from mainstream media into CCM. 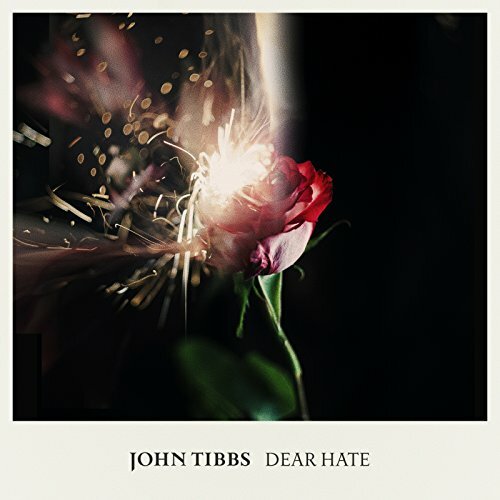 I’m sure there have been one or two songs, but let me tell you that John Tibbs’ cover of “Dear Hate”, originally by country superstar Maren Morris, is sure to be a future smash hit, with John eloquently singing to ‘hate’ in the first two verses and choruses; and to ‘love’ in the last verse and last chorus. With the song written by Maren ‘…in 2015 with Tom Douglas and David Hodges, two days after a white gunman killed nine parishioners at a historic black church in downtown Charleston, South Carolina…; the song became known to the masses after she officially released the song publicly as a duet with Vince Gill…’; while I reckon even now in this economic and political climate, John has created the perfect cover of a melody with far-reaching lyrical relevancy, as we remember that love for our fellow man is one of the things that we can do in this world so that we can make it bearable to live in. Though not a song about Jesus, the song is written so that the first two verses could be interpreted as being sung to Satan, and the last verse to Jesus- however I reckon the beauty of ambiguity here is that people from all walks of life can take the song to mean whatever they want it to. “Dear Hate” is universal in that respect, and sometimes we need those songs in order to look inside ourselves to see if we’re actively part of the solution in spreading love, not hate, and spreading peace, not war. Well done John for a compelling cover and a sublime recording that will be on repeat on my iTunes for maybe a few more weeks and months at least. A couple of years ago, John Tibbs’ debut full length album certainly lived up to the expectations placed upon it by the impressive EP in 2015, and last year, Heartland definitely exceeded my expectations as well. Now this year, “Dear Hate” takes everything to another level. Definitely having me eager in anticipation for John’s future projects, be it more singles or EP’s or full length albums- John’s presence and exposure to the CCM market this upcoming year is sure to be a good thing indeed, as he ministers to Christians and non-Christians alike with his honesty and relatable lyrics. So, are you intrigued by how “Dear Hate” sounds like? Are you going to listen to the version by Maren Morris and Vince Gill? I would definitely encourage you to check out John’s music, as Heartland and now “Dear Hate” are some of the most personal and emotional songs I have heard in a long time!